Warm weather and a focus on culinary delights mean that gelato places fill California. 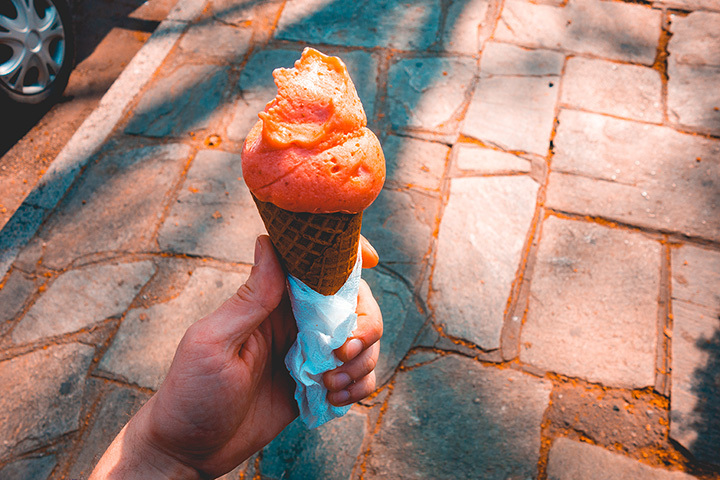 From traditional flavors to creative riffs that use local flavors, these great gelato spots in California never cease to refresh on a warm day. Here are our 10 favorites! Lush Gelato has an interesting history in the Bay Area and has built a loyal following thanks to being specially licensed by the state to craft gelato. Using locally-sourced ingredients and years of gelato making experience, Lush has locations in major Bay Area cities. Bulgarini has a cult following that flocks to the out-of-the-way shop to enjoy some of the best gelato outside of Italy. Lovingly-crafted with a rotating selection of flavors, everyone in the San Gabriel Valley flocks to the shop. Gelato Paradiso takes pride in being an authentic gelato place. Using ingredients and décor sourced straight from Italy, Gelato Paradiso makes everything in the traditional artisanal manner. Gelateria Uli is part of downtown LA’s current resurgence. Located in a historic building, gelato is made right in town and served alongside freshly brewed coffee. Sixteen flavors are available daily, including customer suggested flavors and quirky options. Eiswelt Gelato is helmed by a UC Irvine college student. Her unusual story of roots in Asian and a childhood Germany all inspire the gelato shop, which gets really busy after school. Eiswelt draws inspiration from cartoons and pop culture to craft gelato into whimsical shapes and characters. Using education in various areas and classes in gelato making, Gaia Gelato hails from Rome. Using Italian imported machinery and techniques, Gaia lovingly crafts a variety of gelato and sobretto flavors as well as offers shakes and other treats. Frati Gelato Café is the sort of elegant ice cream shop you’d expect to find in a region known for its fine dining. Frati Gelato Café serves a selection of gelato made by a Master Gelato Maker as well as other sandwiches and snacks inspired by the cafes of the Italian Riviera. Tucked into an inauspicious strip mall in the midst of Montecito’s main drag, Here’s the Scoop is a sort of family friendly gelato shop that makes for a perfect treat after some time at the nearby beach. Palm Springs gets really hot and Jus Chillin’ is the perfect place to cool off. Whether you opt for gelato or another frozen treat, Jus Chillin’ uses locally-sourced ingredients in all its creations. La Copa Loca combines the trendy bowl scene with delicious gelato. Enjoy a fruity creamy frozen treat made with a selection of flavors and other specialty items.